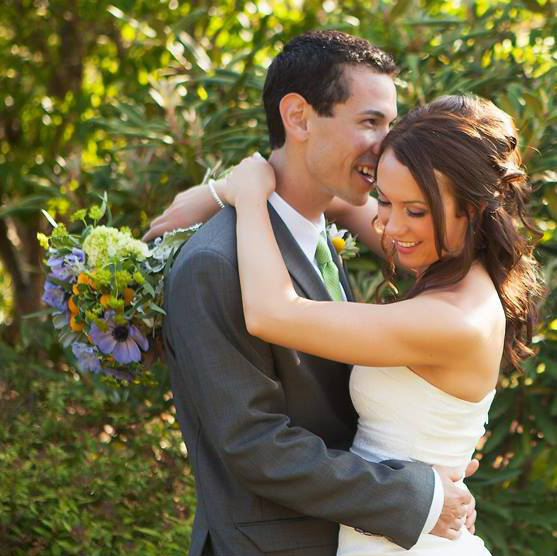 Held on the rambling grounds of a pastoral country club, the vibe at this wedding was casual and relaxed. 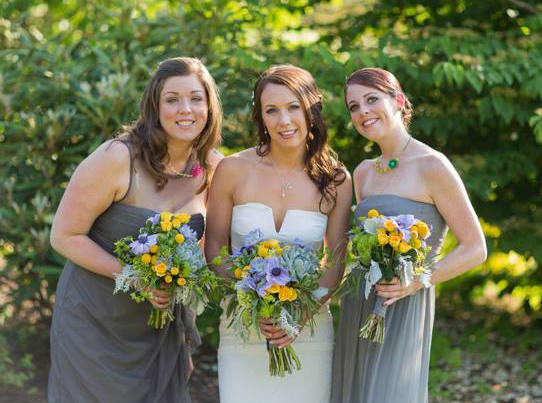 The bride chose soft greens, bright summery yellows, and soft lavenders to beautifully accent light gray bridesmaids dresses. 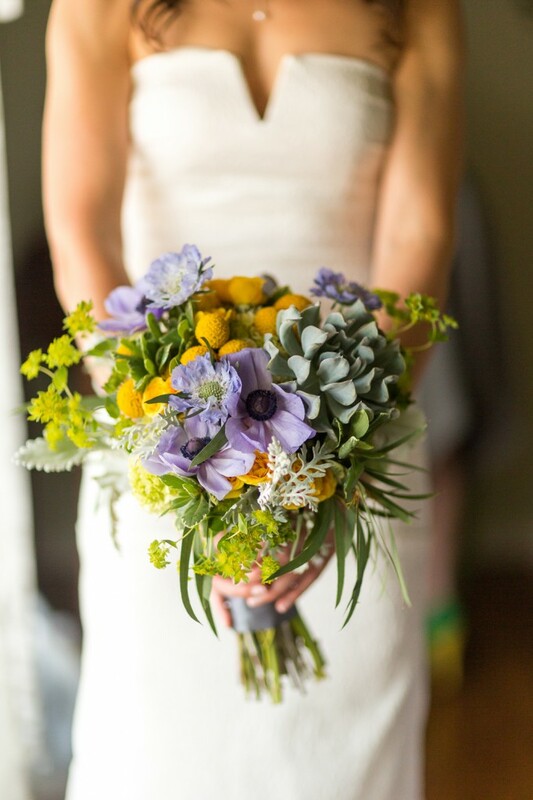 Her textural bouquets, each a little different, featured succulents, green hydrangea, craspedia, spray roses, scabiosa, clematis and anemone. 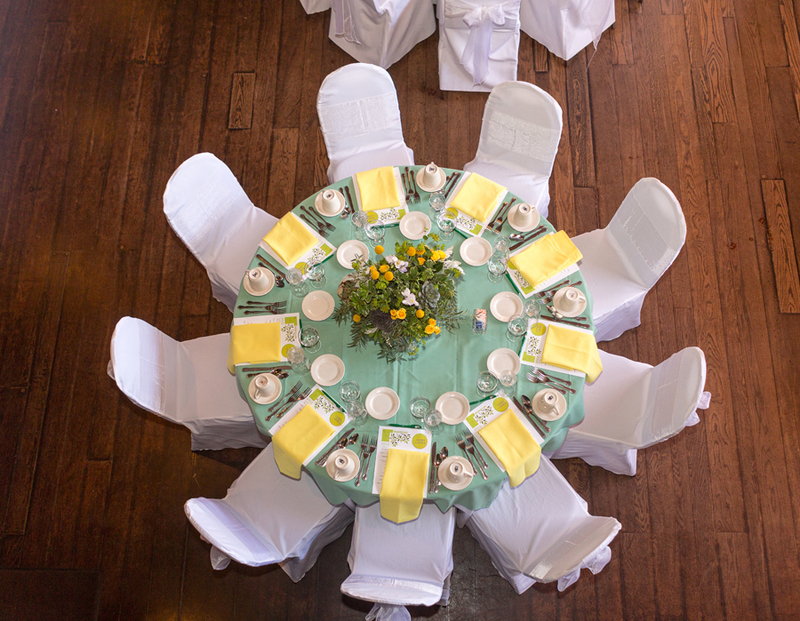 Centerpieces were arranged in rustic wooden boxes on tables dressed with yellow and green linens. Beautiful flowers for a beautiful couple! All images are by Heartprint Photography. 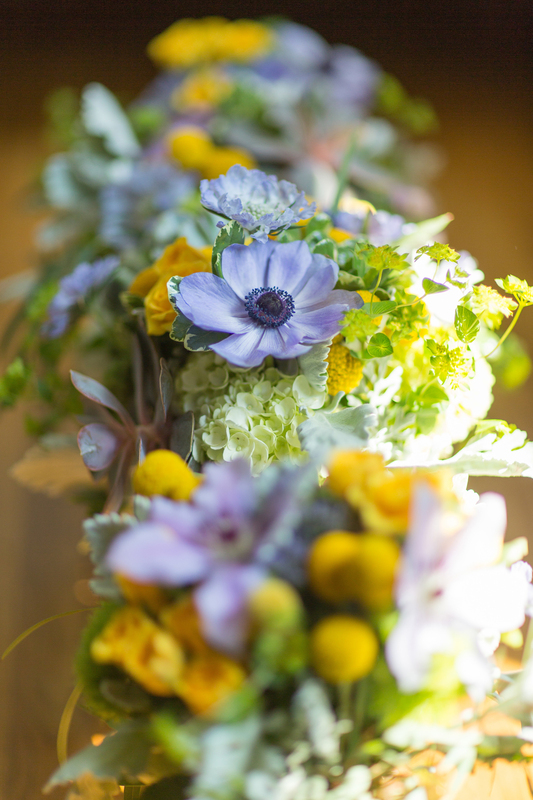 Yellow craspedia, anemone, scabiosa, succulents and feathery bupleurum. Unstructured style. 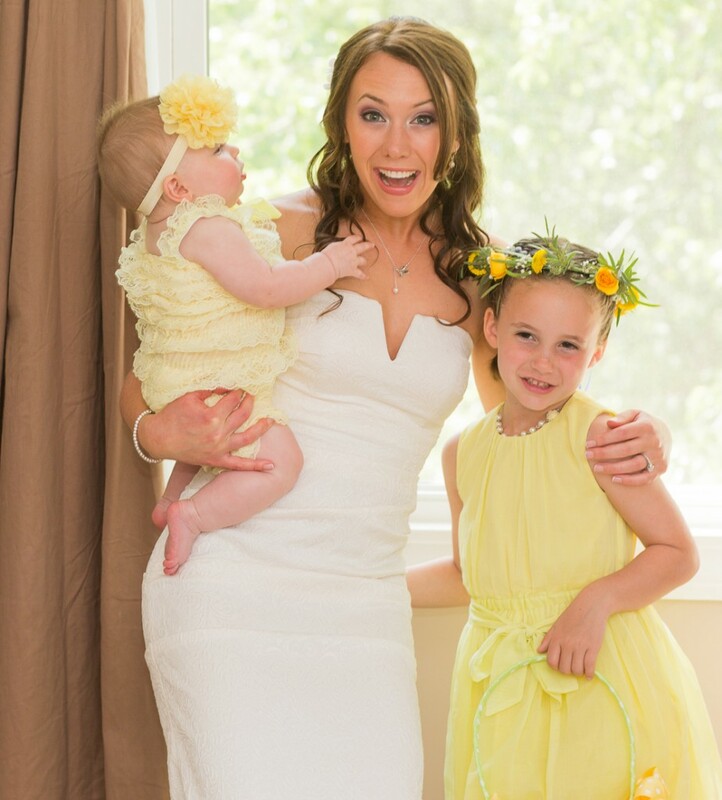 The bride shares a moment with her nieces. 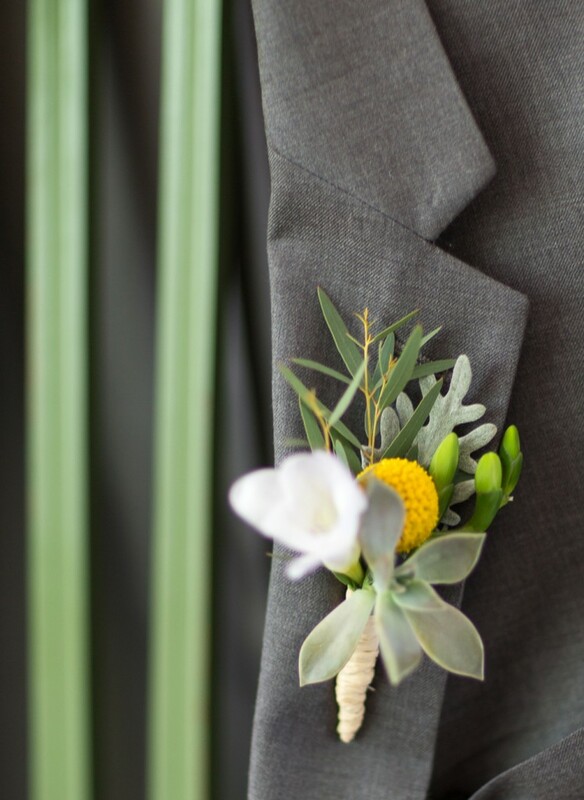 Each bridesmaid’s bouquet was a little different. 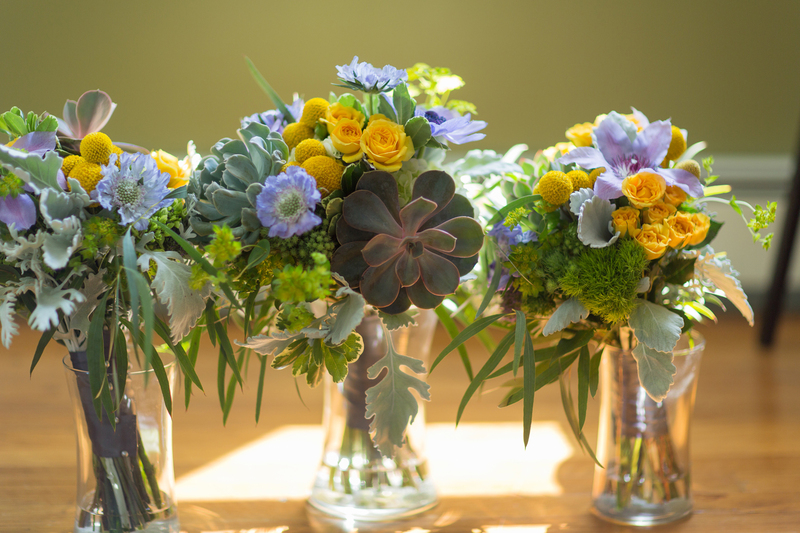 Succulents and dusty miller added a touch of silvery gray. 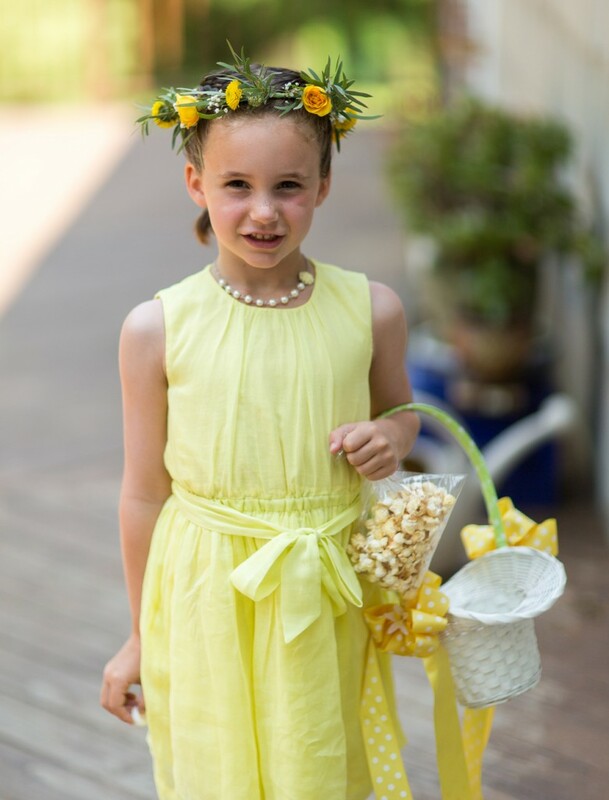 The flower girl was adorable in her delicate crown. 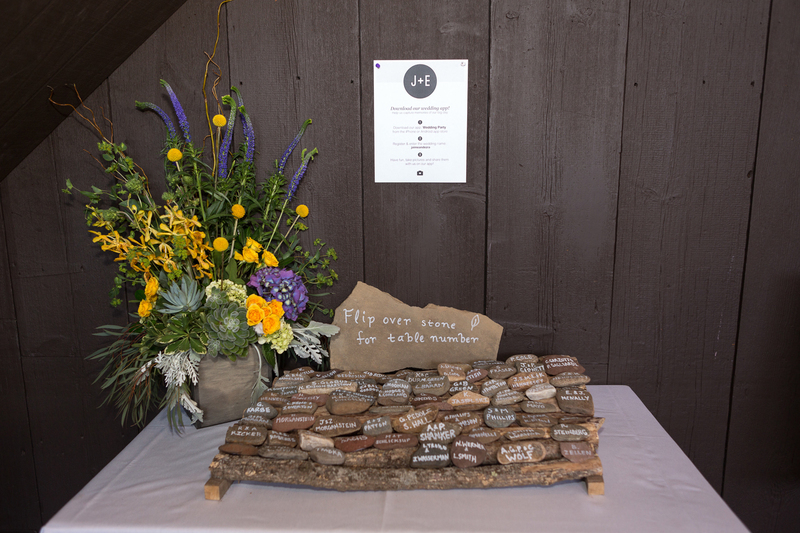 Place cards were made of river stones. A very cool keepsake for her guests! Don’t the bouquets pop against those soft gray dresses? 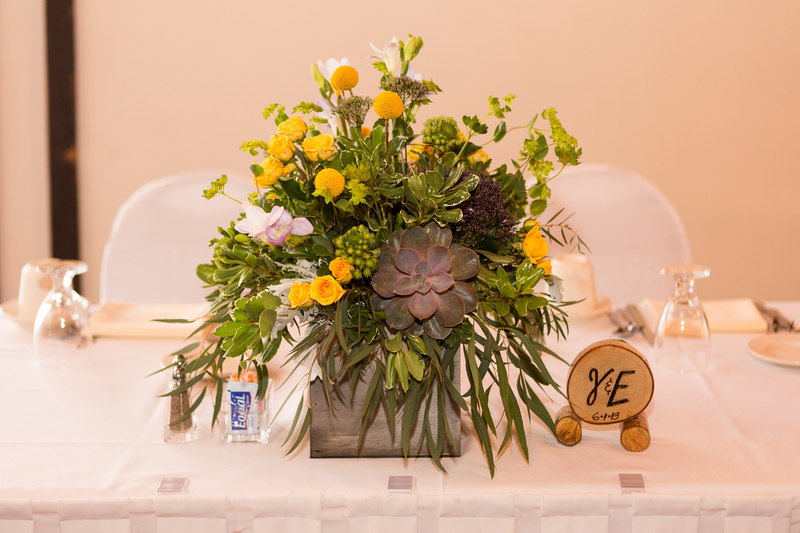 Weathered wooden boxes were filled with textural greens and a pop of yellow.